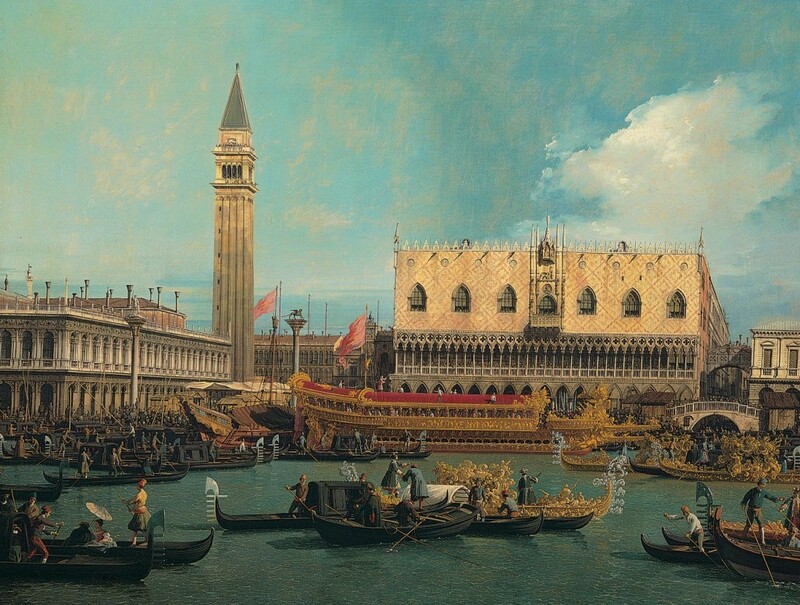 Before visiting the Republic of Venice, I took from memory that the Florentine Américo Vespucci had baptized my country as Little Venice. While Venice was built on a delta in the lagoon of Veneta at the edge of the Adriatic Sea, Venezuela was a parallel universe, on Lake Maracaibo at the edge of the Caribbean Sea, where native huts rested precariously on piles driven in the mud of deep waters.Unlike Christopher Columbus’ surprise and associations between Venice and Venezuela, to my mind Venice had already been extremely romanticized and idealized before I actually saw her. I knew her through pictorial illustrations, unique paintings by Giovanni Antonio Canaletto and Francesco Guardi, through the majestic engravings of Antiquity by Giovanni Piranesi and the fantastic panoramic views of the English painter William Turner. In sum, I knew her through so many artistic and poetic accolades from the echo of Thomas Mann, Nietzsche, Goethe; as Venice had been exalted by Poe as Eliseo of the oceans; by Dickens as Queen of the seas; by Herzen as madness product of genius; by Mann as half snare, half fable; as the reverie of a mirage in a lagoon, an otherworldly fantasy, the improbable city of the dramatist Carlo Goldoni, through the eyes of her beloved ones, by those who watched through the passage of centuries with such ardor, despite all the environmental challenges of our times. I now see Venice holds its charm precisely in its own fragility. Venice is so undoubtedly incomparable. Just consider the testimony of its great monuments, ancient bridges and canals, 400 and 180 respectively, invested by the magic of great perseverance and talent, which makes it logically to have been able to access the deservedly noble title of La Serenissima. This entry was posted on April 27, 2014 at 5:28 pm and is filed under Uncategorized. You can follow any responses to this entry through the RSS 2.0 feed. You can leave a response, or trackback from your own site. Dear Karen: I will be happy to provide information. Please attach a photo jpg sent to my email, and I will provide as much information as you would like.